Busy Bees in Beverley - Watching the flowers grow. 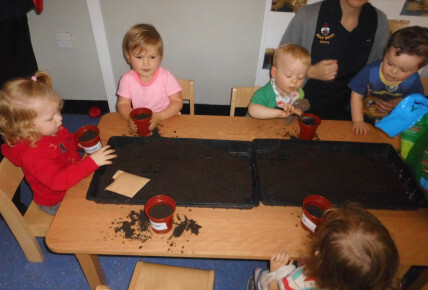 The Toddlers at Busy Bees Beverley have today started a project about watching how things grow. 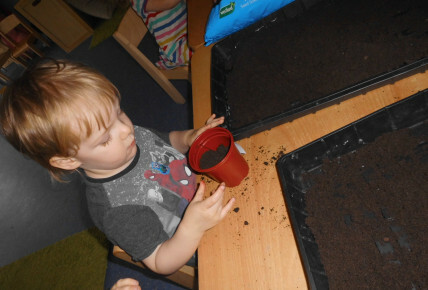 The children have planted sunflower seeds and runner beans in the hope that over the coming weeks they will grow. 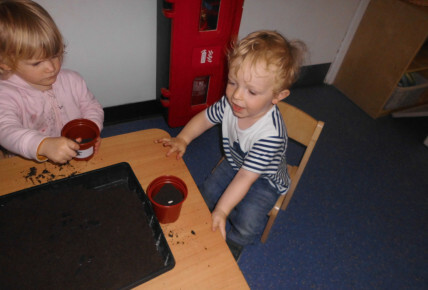 The children learnt how the plants need water and sunlight to make them grow. 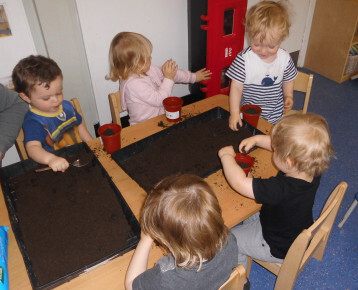 The children watered the plans with a watering can and put them on the window sill to catch the sun. 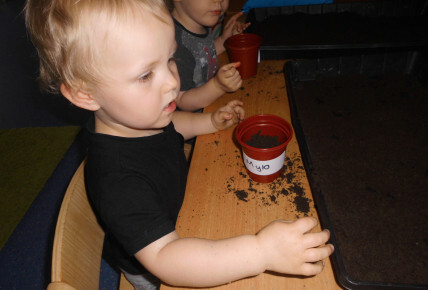 The Toddlers will be monitoring each day how much the plans have grown.